Taking my tweed jacket for another spin, I decided to style a fitted look for a more on-the-go ensemble. Tweed jackets are a must buy item for the spring season for they transition well as a classic piece that can be dressed up with a skirt (see here) or dressed down with pants. Jeans and flats would pair great with a tweed jacket for a weekend casual look. 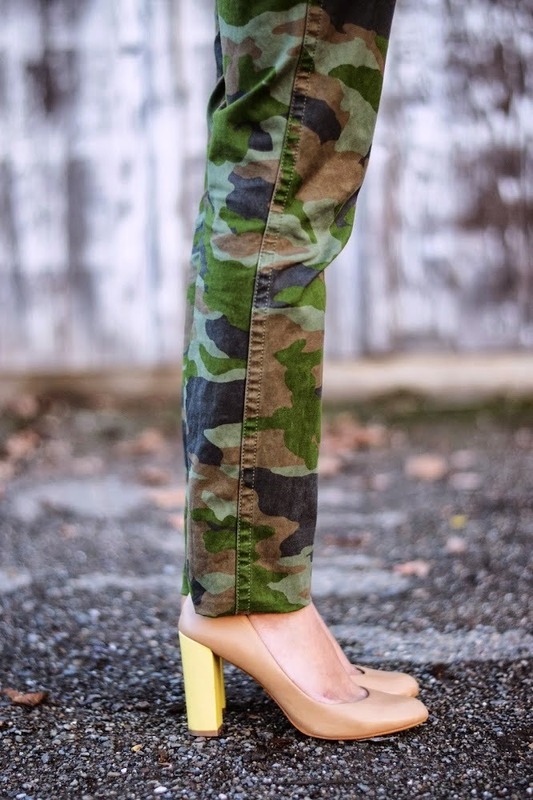 I choose to go a little more bold, mixing some print into the look with a camo pant, wearing this to a styling appointment.